Kingdom Come: Deliverance is a pretty great debut for WarHorse Studios. Hopefully, the devs will learn from and build on this flawed but very fun experience. Kingdom Come: Deliverance has arrived after pulling in over $1 million in 2014 via crowdfunding on Kickstarter, and now those that supported have an opportunity to see what grew from the many seeds they planted. WarHorse Studios’ major debut is a great game that doesn’t entirely break under the developers’ ambitions, but surely does bend. Kingdom Come: Deliverance is a loosely accurate tribute to medieval Europe and, when it comes to the dev team’s desire for fun gameplay based in realism, it executes in more ways than it doesn’t. The combat is challenging whether I focused on melee or ranged and I cherished how the deep physics system is as I layered my armor and watched the attacks of enemies glide off of me later in the game. Fighting is complex and, no matter how skilled I felt I was, I always ran the risk of returning to a save point if I wasn't geared up correctly. Ah, the save point. Many frustrations found in Kingdom Come: Deliverance can be summed up by the way the developers address saving your progress. There are autosaves at regular intervals, but there are mechanics surrounding manual saves that can punish you if you abuse it. Early on, the alcoholic beverage you have to have in your inventory is an expensive item to buy, so I had to manage my time wisely and be extremely careful with my decisions. As you progress, you find that you can craft the drink via the Alchemy system to save a great deal of time and in-game funds, but it’s entirely understandable if you’re too frustrated to care by then. The save system is a creative mechanic, but the game isn’t polished enough to warrant a player’s investment into it. All too often a bug or series of bugs would put me in a position where I’d need to spin up on old save file, but I’d have to weigh the decision to go back a good bit into the game or just deal with the consequences. Thank goodness the game was fun enough that I didn’t completely hate the idea of a bit of retread, but it’s something that held a solid game back. The quests are really well done, so it hurts when you work through such an entertaining moment only to be derailed by a missing NPC or some other bug that ruins the quest outright and you move on without completing or you replay it altogether. Witcher 3 is another game that comes to mind when I think of collections of side quests and optional activities that don’t bore you to death with repeated tasks with a slightly different theme to them and Kingdom Come: Deliverance executes in this regard. The herbalist suddenly went missing? There’s a fight club outside a home disturbing the owners sleep at night? A plague has broken out in the village? At every turn I caught myself diving deeper into side quests, rarely ever feeling like being roped into the mundane. A place where things do get mundane, though, is with the random encounters that happen as you're traveling between towns. At first, they felt as well-executed as the full-on side quests. At one point, as I searched for the young man I mentioned early that had info about bandits, I came across a dead body in the woods. I checked it for loot, assuming nothing out of the ordinary, right before a woman ran up to me and accused me of murder. She scared the crap out of me, but I noticed she was a bit out of her mind and seemed to be carrying the murder weapon herself. I accused her, she took off running, and I ended up losing her in the woods. It was a briefly terrifying moment in a game with none of the fantasy elements that usually anchor similar situations, but it was sullied as I kept running into the same thing over and over again. There are other random events that occur as you travel, but they all lose their luster over time. In a patch, the devs even increased the frequency of these occurrences and I feel that took away from a cool idea. 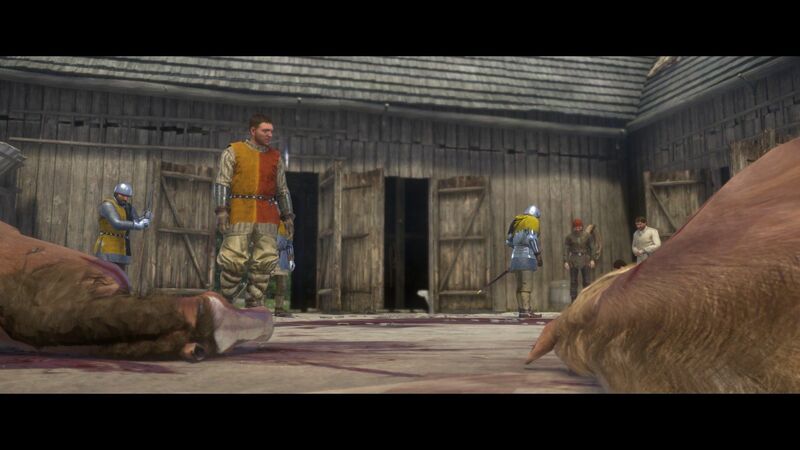 Kingdom Come: Deliverance afforded me a lot of freedom and that’s one of the most incredible parts of the experience. I could wander to essentially anywhere I wanted to at any time, as long as I’m ready to deal with the consequences. 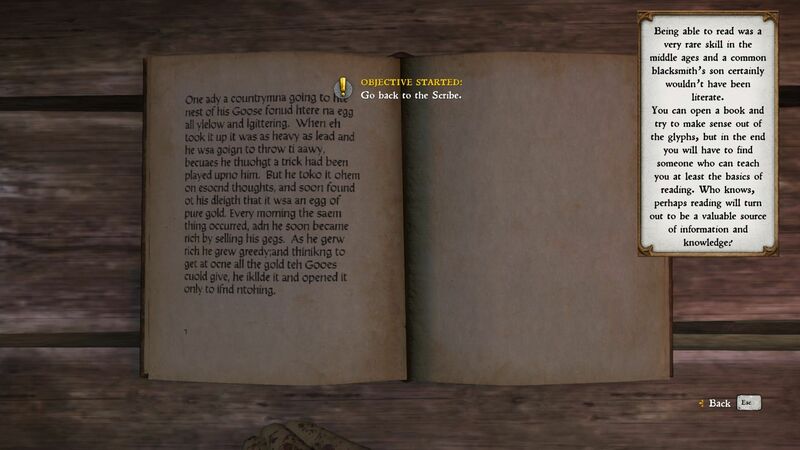 Quests were presented as is typical in an RPG of this kind, but I regularly would take note of some little bit of information an NPC gave me and find ways to complete a task more efficiently. For example, at one point I was on the hunt for a young man that had information about an attack from a group of bandits. The quest log on my map showed me a handful of places where I could find the next bit of information, but a couple details about what direction he fled in and the friends he usually spent time with put me on the right trail faster than running off to each marker to ask questions. Those details weren’t saved anywhere in the menus and, if I hadn’t been giving the conversations I had with random villagers my full attention, I’d have missed out. The game does hold your hand for a little while as you work through quests, but you have an opportunity to run off into the wild and accomplish things your own way if you want to risk it. Time progresses in the game realistically and that’s another element that influenced what I ran into as I maneuvered through Bohemia. Learning to read actually helped me investiage a murder. 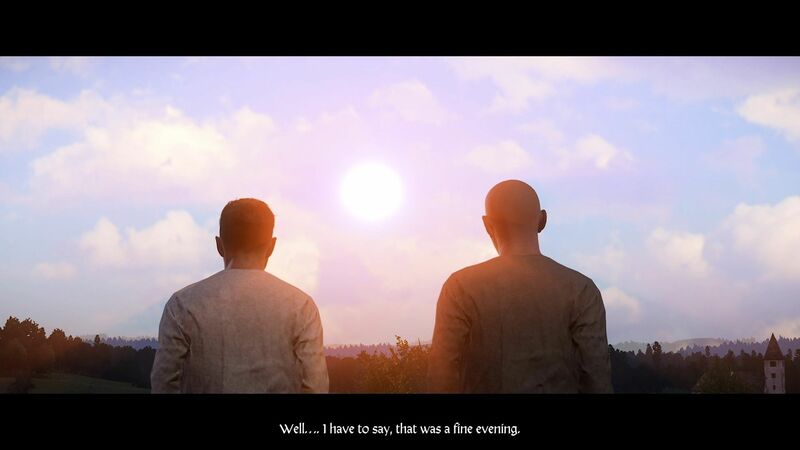 The freedom and realism also made me question a few design decisions from WarHorse Studios, one being the decision to not allow players to create a unique character. Henry is the game’s lead and, while you can shape him in many ways as you play, he has a story for you to experience. Thankfully, it’s a good one. Henry is one of the most endearing lead characters in recent memory and I enjoyed watching (and shaping parts of) his growth to see how it impacted his interactions with lowborn and nobles later in the game. My Henry had a pretty wonderful relationship with both, which is something that can even be influenced by some skills you earn, but it is interesting to navigate both worlds. Regarding Henry's skill progression, you must really practice to get better at everything. Whether it's lockpicking, combat, reading, or crafting potions, all the mechanics are really involved experiences and practice legitimately made me more adept in addition to earning me skill points. On the other hand, the attention to realism made other elements stand out in a bad way. I played as a character whose energy, nourishment, and overall health I had to manage by taking to time to eat and sleep. If I didn’t take care, Henry’s performance would suffer in various ways. These survival mechanics weren’t overwhelming, kept me engaged throughout, but were strangely absent when it came to my horse Pebbles (I never upgraded from the starting horse). Not having to worry about my horse’s well being other than when it gets skittish during a storm or battle was a missed opportunity by the devs, but the real problem is when I would hit “X” to instantly summon my horse to me. Those moments snapped the immersion right in half and the list of places where I couldn’t summon him to me was pretty small. I played the game on a GTX 1060 and, initially, I got really good performance out of the game at high settings. After I made it through the well-crafted segment of the game that serves as a four to five-hour tutorial, I started losing a lot of frames. I dropped the settings down to “Low” so I could have a smooth performance throughout my playthrough and the game was still quite pleasant to look at. Lighting, textures, and characters didn’t take too much of a hit at all and Kingdom Come: Deliverance was a visual feast on higher settings. It’s a long path to the final chapter and the devs made one head-scratcher of a decision in the end. No explicit spoilers, but the path to the game’s final conflict starts off beautifully. There's a twist focused on Henry that kind of falls flat, but the events around it get the blood pumping. For the majority of the game, I felt that I’d have a pretty neat bow tied on the game’s major conflict. The first turn in the final chapter bucks that entirely and set me on the exceptionally jagged path to the final battle, excitement at nearly every turn. After a few significant moments that are obviously building up to the big crescendo, the pace completely falls off a cliff. Wasted a lot of time waiting for this thing to be built. At this point, I’d already experienced the “point of no return” message and taken on some big quests. Right before the big battle though, I was offered a ton of optional quests and an accompanying main quest to the final battle that forced me to return to the slower pacing of the game before we’d reached the point of no return. 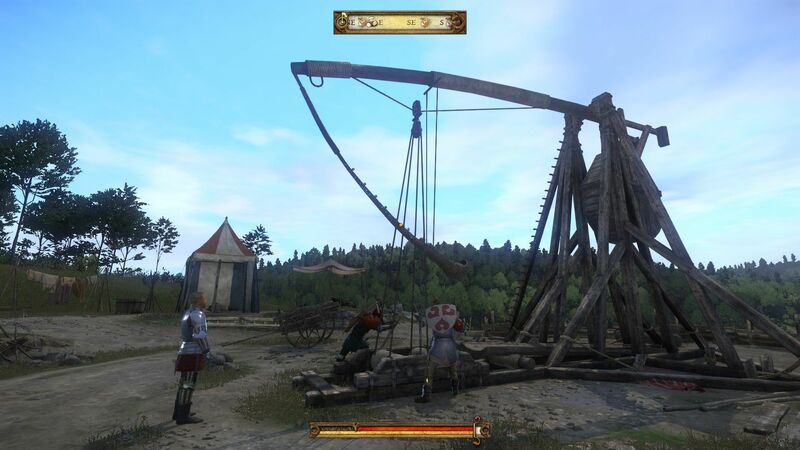 While it does play into the realism that the developers so excitedly aspire to in Kingdom Come: Deliverance, there’s plenty of opportunity before the point of no return to get these things lined up in the open world and keep from crippling the pace before finishing. 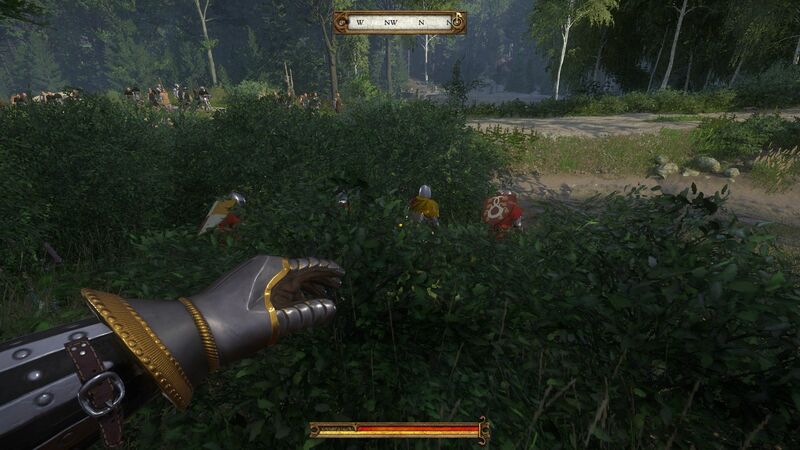 Kingdom Come: Deliverance is a fantastic and absolutely frustrating experience. I was treated to a memorable lead character whose agency and development was largely wiped away with a twist late in the game and a collection of incredible gameplay mechanics and quests repeatedly stifled by bugs. Despite its downfalls, though, the good parts of the game are so good. I spent 50+ hours in the game’s version of 15th century Bohemia and that’s with me rushing through the latter half of the game, leaving plenty of interesting side-quests to be unfinished. I’d have done a whole lot more if I didn’t want to get the review out in a reasonable amount of time, and I will definitely be returning in the future. This review is based on a PC code provided by the developer. Kingdom: Come Deliverance is now available on PC, PS4, and Xbox One for $59.99. The game is rated M for Mature. Check out our Kingdom Come: Deliverance Guide and Walkthrough for tips that will help you survive Bohemia. Let me know if you decide to!